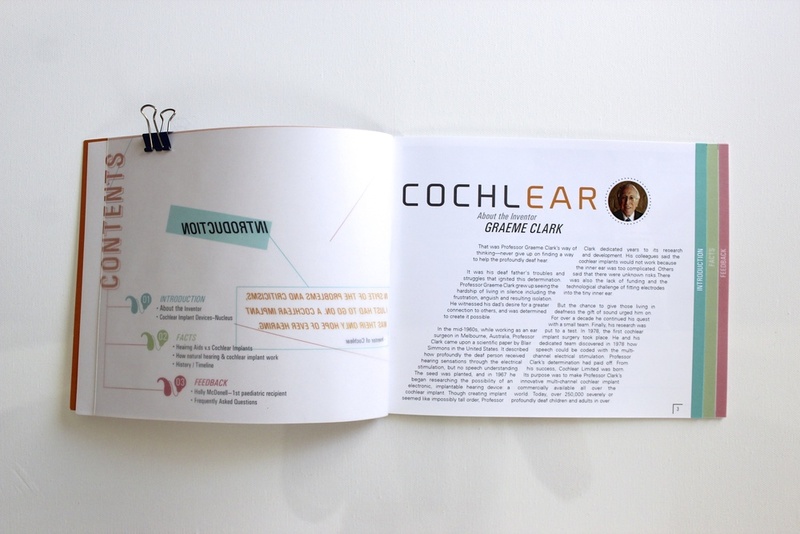 Cochlear is an existing hearing rehabilitation company. 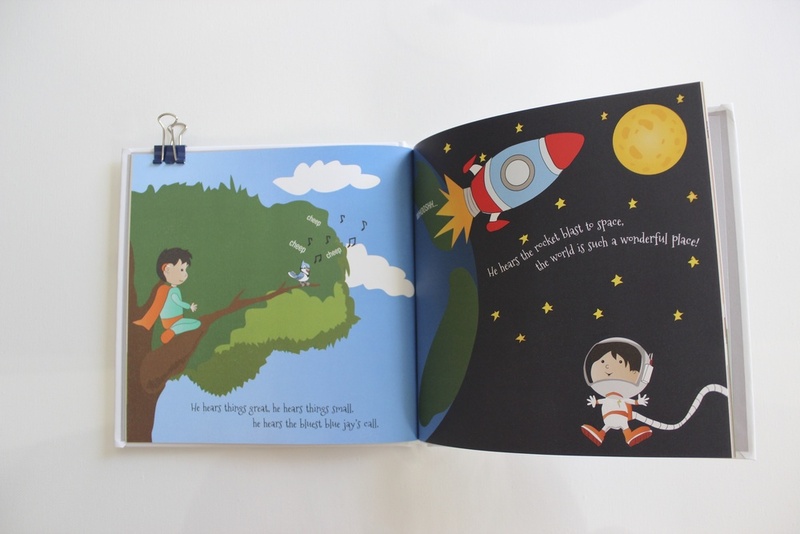 This welcoming and fun packaging aims to reach out to not only parents but also the affected children themselves. 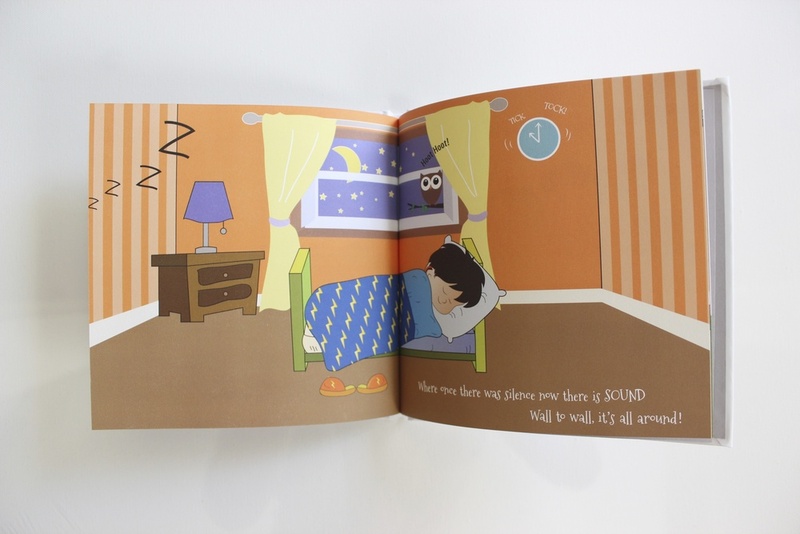 The use of colourful information graphics and the inclusion of fun facts gives a lighter approach to the whole experience, alleviating the distress of the parents and the children. The information in the book is concise and arranged in a way that is easily comprehended. The booklet is also clearly divided into sections. 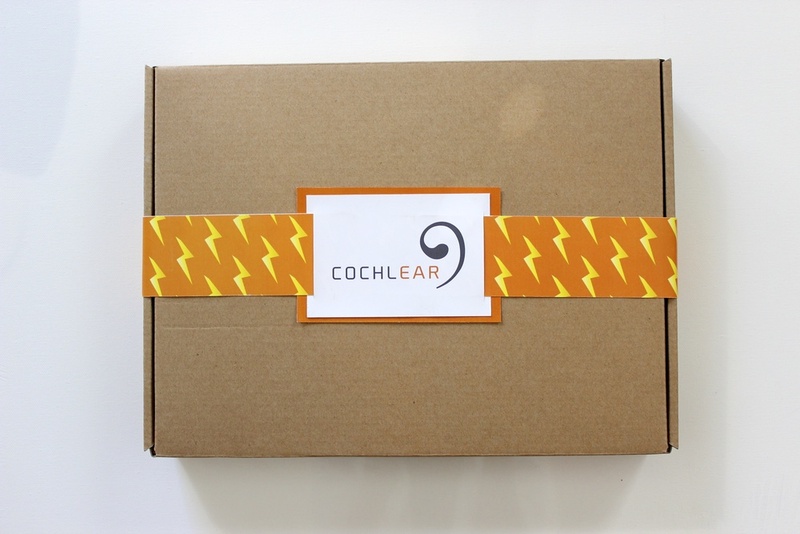 The logo is a modern and simple icon resembling the ear. 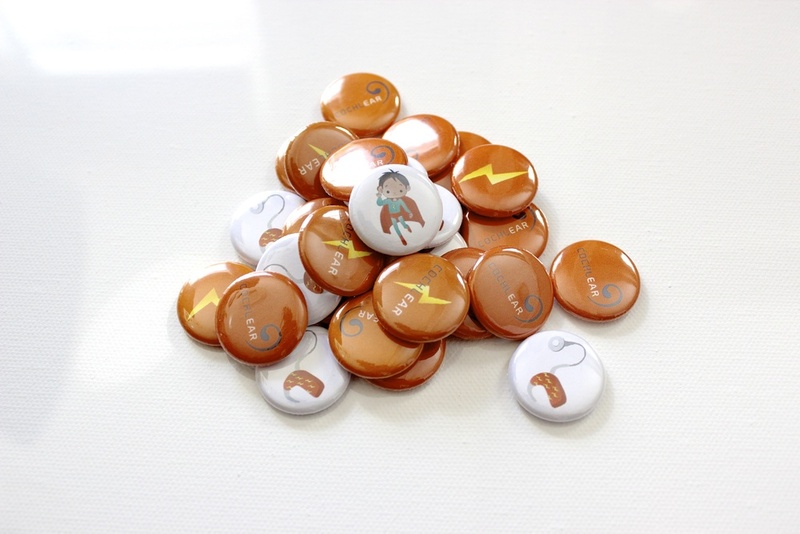 The target audience are young children who are deaf and/or hard of hearing (0-12 years old). 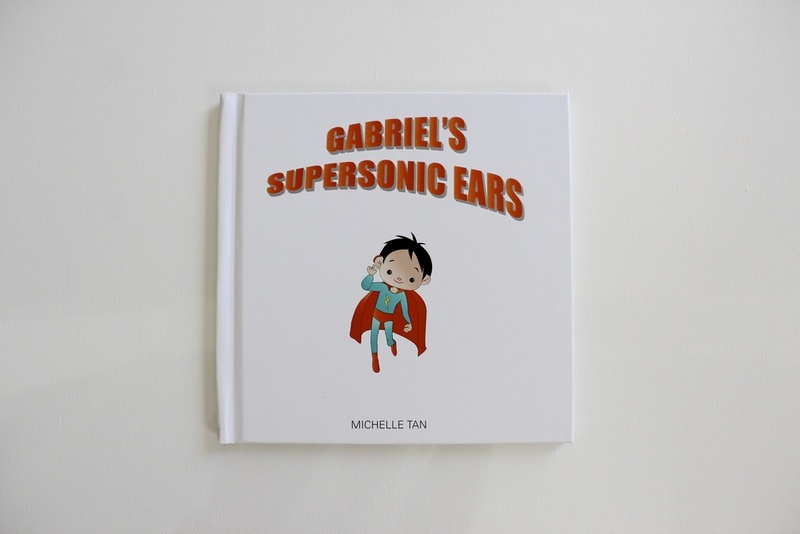 Gabriel's Supersonic Ears is an illustration book for the children who will be able to know what is it like to hear sounds, and how powerful the Cochlear device is. 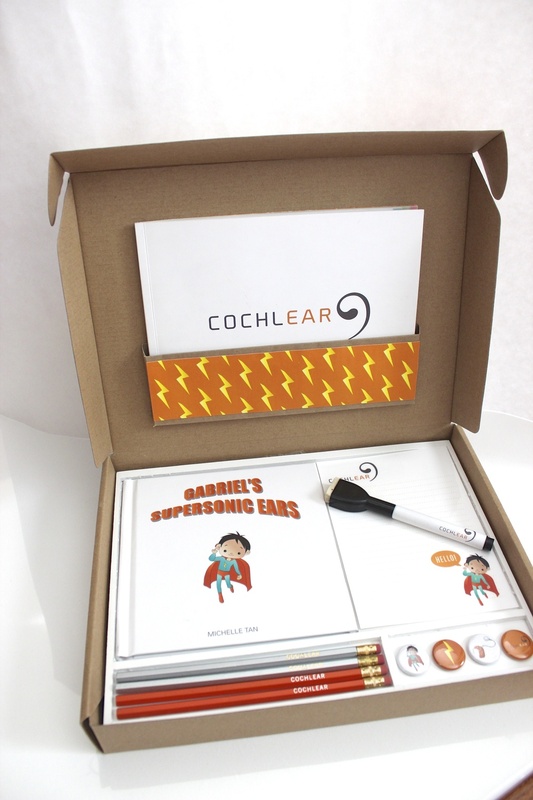 The welcome packaging box is specially designed for the deaf children and their parents. In the package, the informational book, illustration book and several promotional items are included. 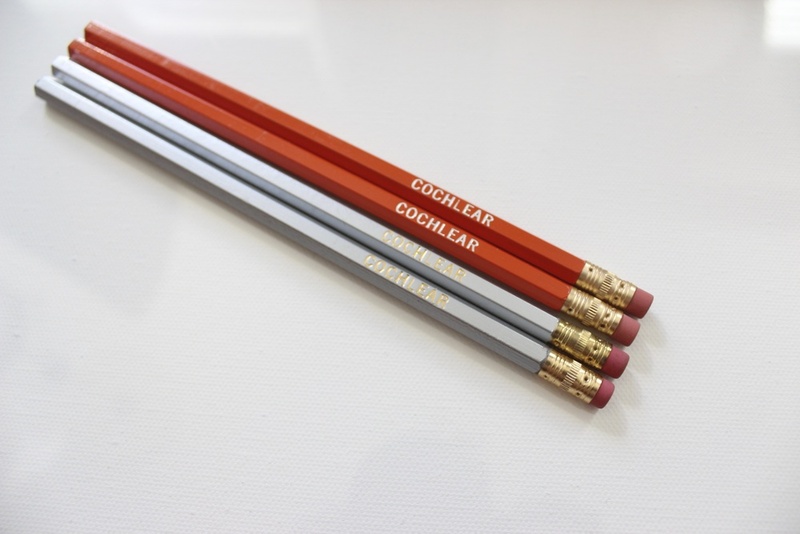 Promotional items such as pencils, whiteboard and markers and pin buttons.